Deleter NEOPIKO LINE 2 Series Pens and Pen Brushes introduces smooth ink dispersion and improved contact point for detailed illustration and projects. These pens can be used in conjunction with other water-based and alcohol-based makers once the ink has settled and dried. 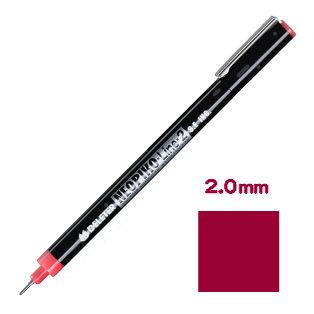 Deleter NEOPIKO LINE 2 pens are available in 9 different sizes and 7different colors.